Note: To access photos related to this news release, go to https://www.flickr.com/photos/commissary/albums/72157656718507943. FORT LEE, Va. – Twenty-four years ago on Oct. 1, the Defense Commissary Agency officially opened its doors for business around the world. Today, its employees are preparing to observe this anniversary the way they do every year: working hard to bring the commissary benefit to their customers with great savings on name-brand products at 240 stores in 13 countries. While Oct. 1 marks DeCA’s 24th anniversary, the commissary benefit itself is almost 150 years old. In 1866, Congress authorized the Army to sell food items, at cost, to officers and enlisted men starting July 1, 1867. These sales were authorized at every Army post with a subsistence warehouse. Sales areas were simply a table or counter in the warehouse, and the official stock list was only 82 items – but this was the start of the modern commissary benefit. Since the early years of the 20th century, commissaries have been similar to civilian grocery stores and supermarkets in terms of both layout and the number of items offered for sale. In the last 24 years, store facilities have been further upgraded, more people have become eligible to enjoy the benefit, and customer savings have increased. In 1991, commissaries provided average customer savings of 20 percent when compared with local grocery chains. Today, average savings are more than 30 percent. Thanks to customer surcharge dollars, which fund new stores or renovate existing ones, the agency strives to provide military families with a shopping experience comparable to civilian sector stores. While the Congress-mandated surcharge has remained at 5 percent since 1983, the number of items stocked by commissaries has increased, from about 13,000 in the largest stores in 1991 to the 22,500 items available in DeCA’s larger commissaries in 2015. National Guard and Reserve personnel, always key components of the military, were granted full-time commissary benefits in 2004. Through the years, conveniences such as self-checkouts, sushi bars, hot foods, deli-bakeries, credit and debit card acceptance, gift certificates and much more have been added to modern commissaries. When natural disasters strike military installations, as happened 10 years ago when Hurricane Katrina hit Gulf Coast installations hard, commissaries provide crucial aid to military and civilian families in need of food and supplies. Even when commissaries were severely damaged, temporary stores brought some sense of normality to affected customers. Commissaries provide a substantial savings, particularly in high-cost-of-living areas of the country, and overseas they bring a morale-building “taste of home” by providing familiar American food products. “When our troops go downrange, the families left behind depend upon their local community services, including the commissaries, to see them through tough, lonely times,” Allison said. “I know firsthand because the commissary’s been there for my family when I’ve had to deploy. 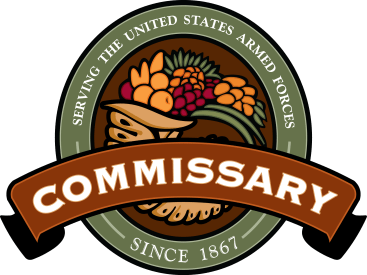 “With 24 years of experience as a Defense agency, commissaries continue delivering this highly valued military benefit to our men and women in uniform and their families,” he added. So, as the agency observes its 24th birthday, Allison said he’s celebrating with a movie from the exchange, and some drinks, popcorn and other snacks from his commissary. About DeCA: The Defense Commissary Agency operates a worldwide chain of commissaries providing groceries to military personnel, retirees and their families in a safe and secure shopping environment. Commissaries provide a military benefit and make no profit on the sale of merchandise. Authorized patrons purchase items at cost plus a 5-percent surcharge, which covers the costs of building new commissaries and modernizing existing ones. By shopping regularly in the commissary, patrons save an average of 30 percent or more on their purchases compared to commercial prices – savings amounting to thousands of dollars annually. A core military family support element, and a valued part of military pay and benefits, commissaries contribute to family readiness, enhance the quality of life for America’s military and their families, and help recruit and retain the best and brightest men and women to serve their country. COMMISSARIES.COM: Visit www.commissaries.com to learn more about the Defense Commissary Agency: check out the latest news, find a store near you, see what’s on sale, create a shopping list, learn of food and product recalls, scan employment opportunities, read frequently asked questions, submit a customer comment form online through DeCA’s Your Action Line and more. COMMISSARY CONNECTION: Stay connected with the latest news about your most valued benefit, Hot Links to additional savings, shopping sprees, contests, commissary promotions, events and more, go to www.commissaries.com/subscribe.cfm and subscribe to the Commissary Connection newsletter. FACEBOOK: Visit www.facebook.com/YourCommissary, DeCA’s Facebook page, where you can post comments and share news, photos and videos. YOUTUBE: To see DeCA’s latest videos, visit www.youtube.com/DefenseCommissary. TWITTER: To see DeCA’s latest “tweets,” visit www.twitter.com/YourCommissary. PINTEREST: To see DeCA’s theme-based image collections, visit http://www.pinterest.com/YourCommissary. FLICKR: To see DeCA’s latest photographs, visit http://www.flickr.com/photos/commissary/.